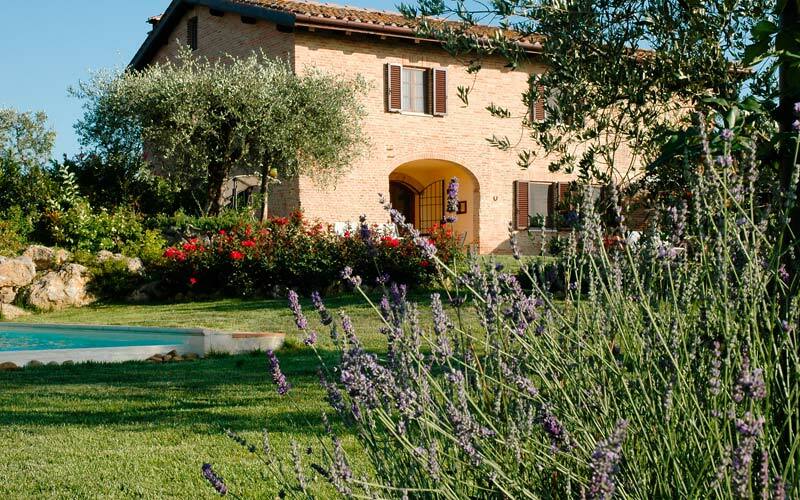 Standing on a hill from where fabulous views of Siena can be seen, Aia Mattonata is a beautifully restored farmhouse dating all the way back to the 17th century. 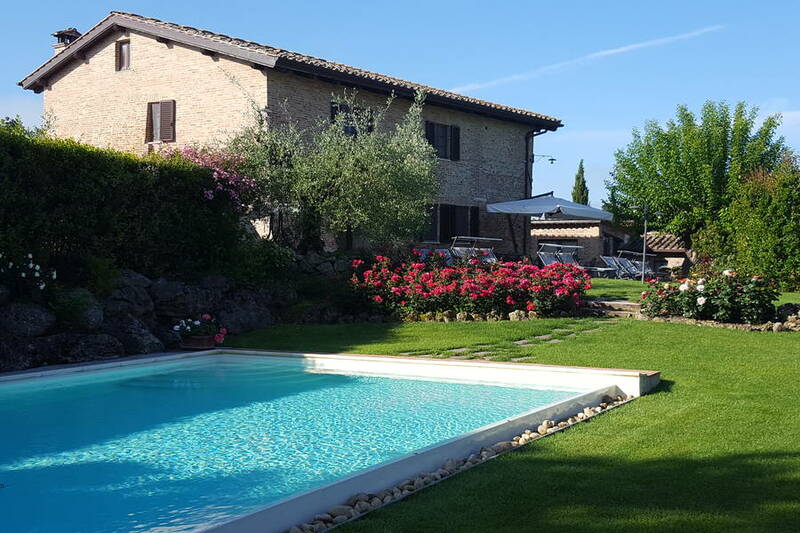 Recently transformed in romantic relais, Aia Mattonata is the perfect place where to enjoy a holiday in the heart of the Tuscan countryside and, at the same time, in the immediate proximity of one of Italy's most beautiful medieval cities. 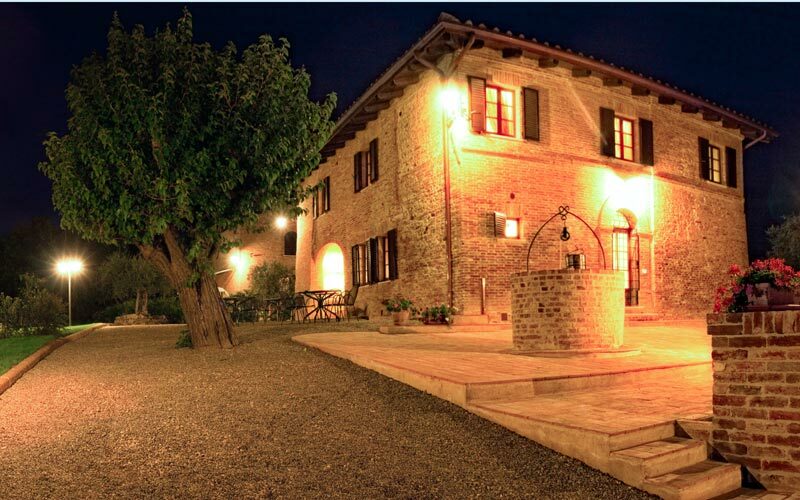 Behind the simple brick facade, typical of Tuscany's traditional farmhouses, there are just 5 bedrooms and one suite. 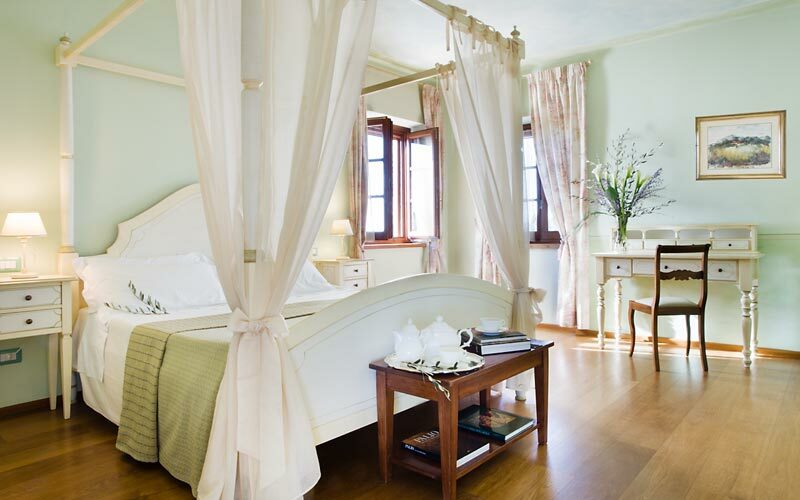 One of the bedrooms, on the ground floor of the building, has been designed with disabled guests in mind. 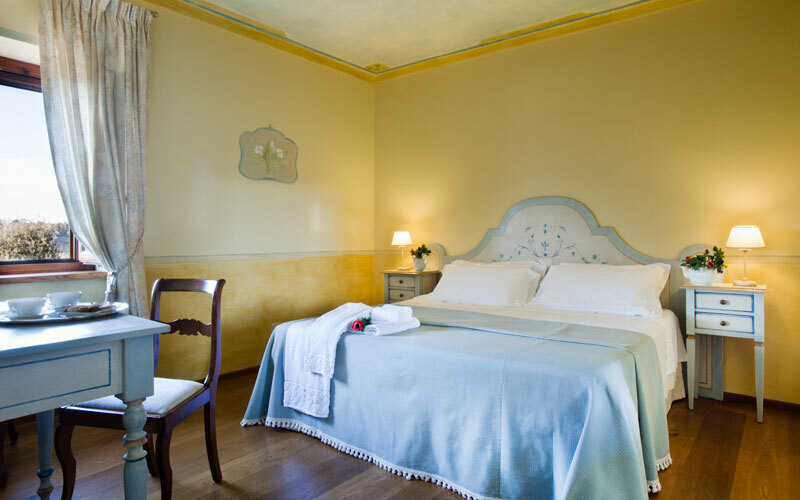 Rooms have been individually decorated in classic Tuscan country style, with four poster beds and artisan crafted furnishings, and equipped with the latest in hi-tech amenities, including flat screen satellite televisions and wireless internet connectivity. 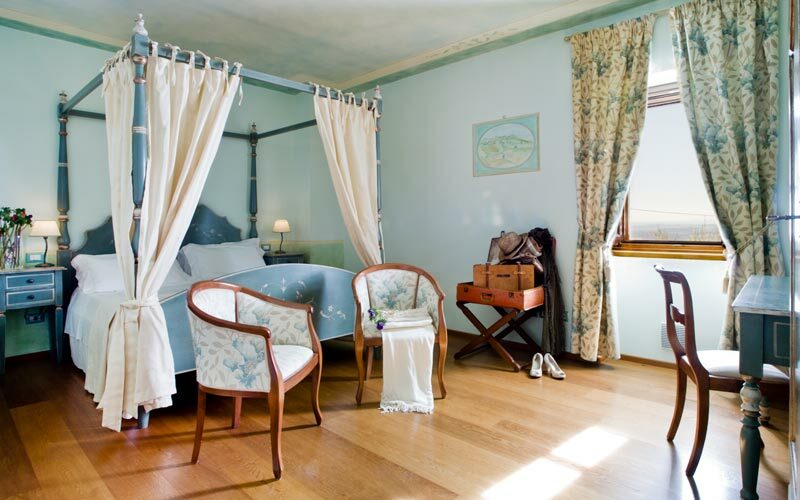 The relais accommodates a maximum of 10 people. 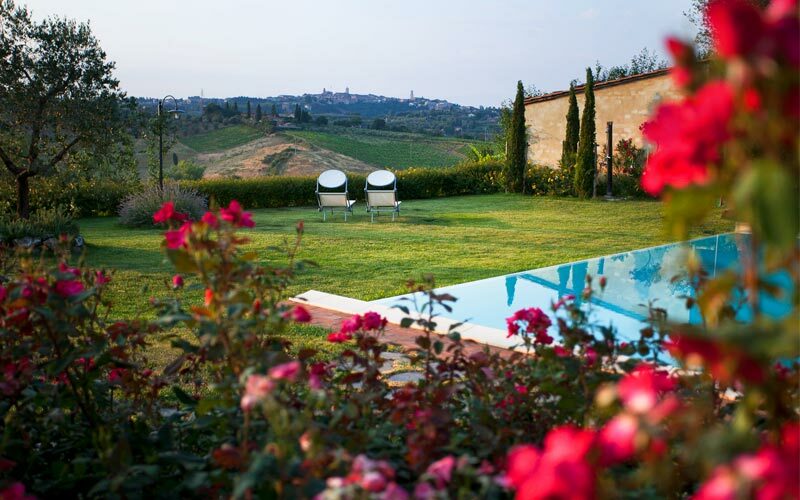 The gardens of the relais provide the idyllic setting for Aia Mattonata's infinity pool, where guests can often be found lazing in the Tuscan sun, in the company of magnificent views of the countryside and the towers of Siena; views which, on particularly clear days, extend as far as the Crete Senesi to the hills of Montalcino and Monte Amiata. 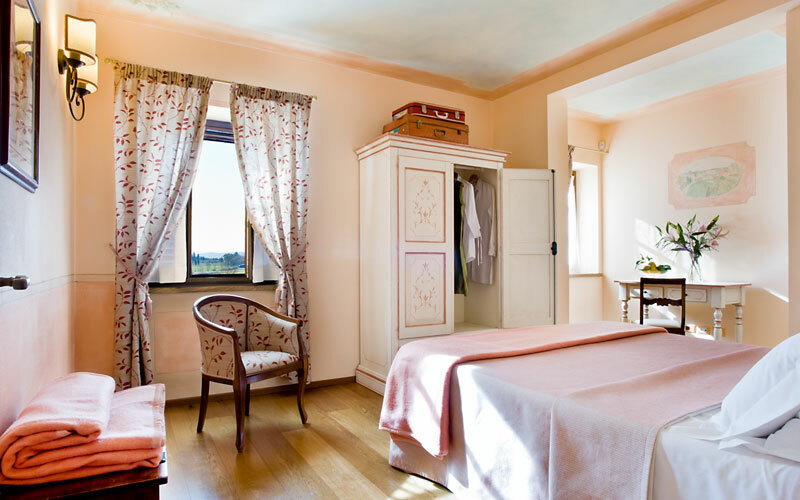 These days, relaxation has become synonymous with wellness, and at Relais Aia Mattonata outbuildings once used as stables have been converted so as to house a Turkish bath and fitness corner for guests' use. Massages and pranotherapy are available on request. 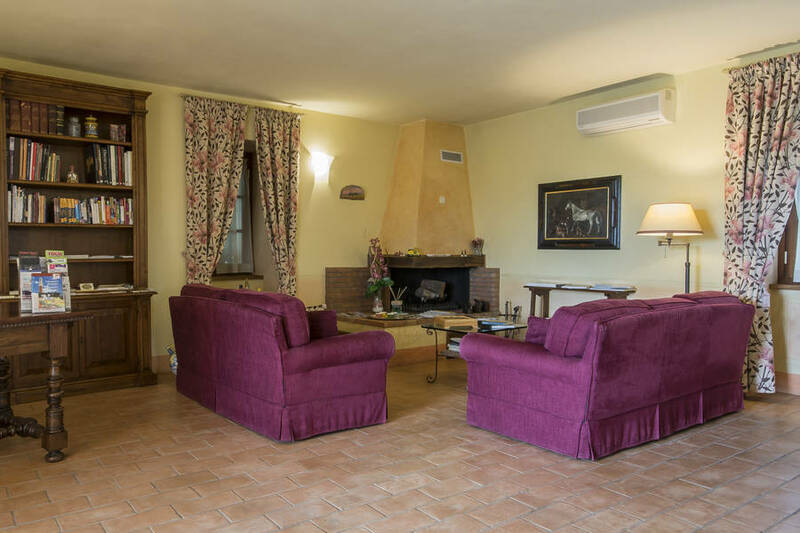 In times past, the Relais' traditional Tuscan kitchen and large living room with characteristic open fireplace were always at the center of life in the farmhouse. 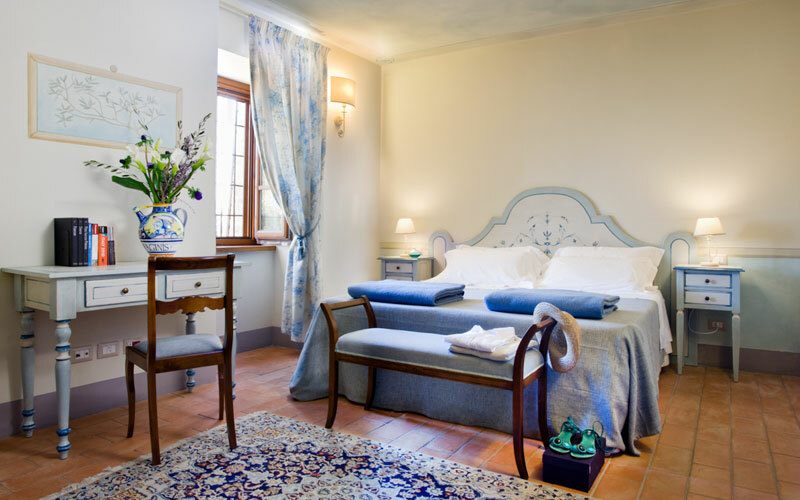 Today these rooms provide attractive communal spaces where guests are free to meet, take a leisurely breakfast, or simply relax and enjoy a good book. 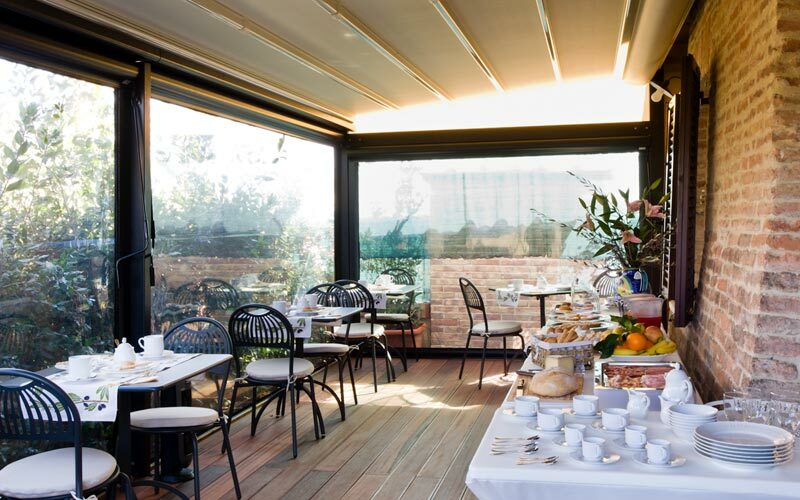 In the warm summer months, breakfast is served outdoors, in the garden. 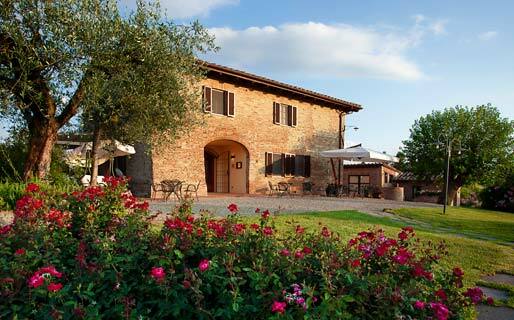 On request, Aia Mattonata organizes cooking lessons, typical Tuscan dinners and tastings of the region's highly prized wines. 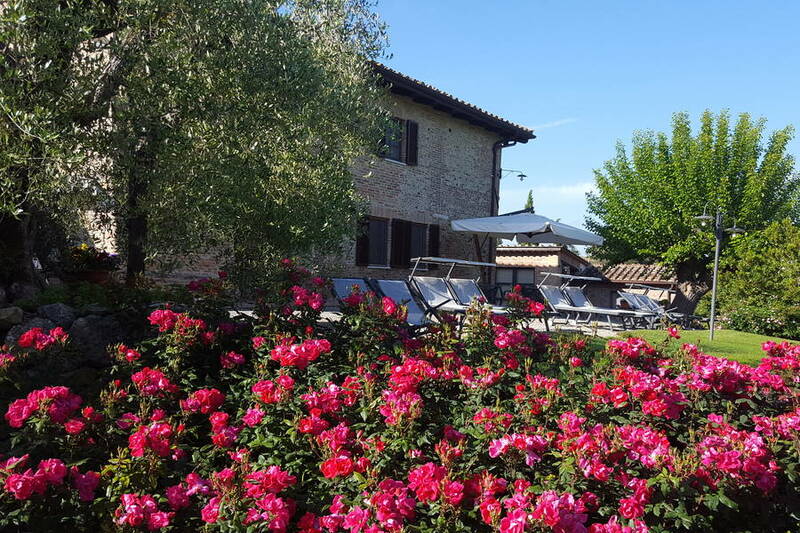 Guests keen to spend time exploring the Tuscan countryside may well decide to make use of one of the relais' mountain bikes and head off on one of the many scenic cycling routes snaking their way across the Crete Senesi. 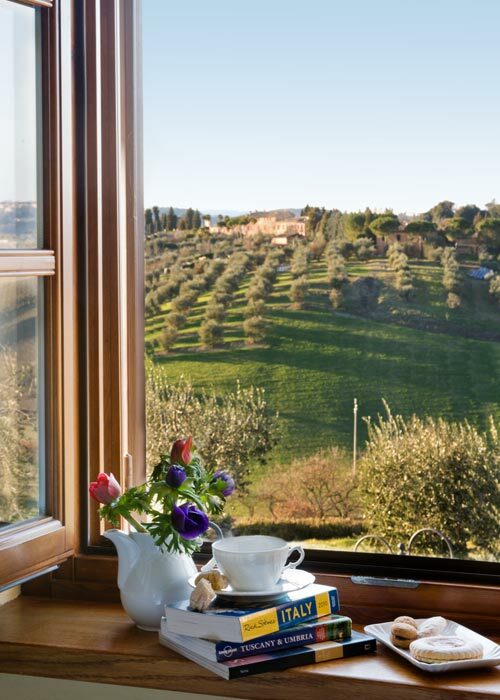 From the heights of its hilltop position, Aia Mattonata Relais enjoys the most spectacular views of Siena. 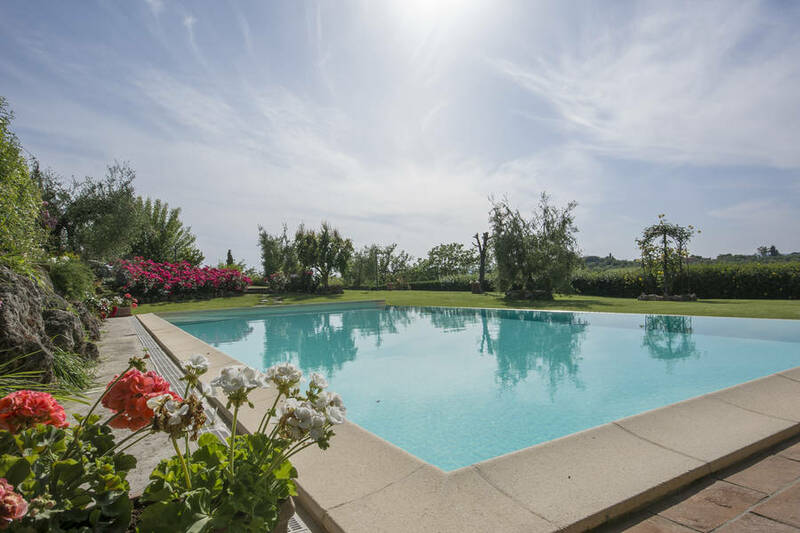 Only 2 kms lie between this typical Tuscan farmhouse and the historic center of one of Italy's most fascinating medieval cities. From the loggia, swimming pool, terrace or garden, the towers of the Cathedral and the Torre del Mangia can be clearly seen. 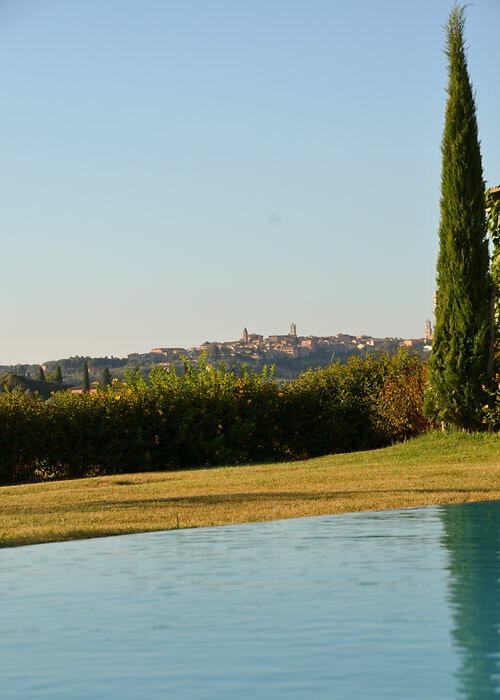 Guests staying at Aia Mattonata Relais find themselves just moments away from the extraordinary works of art and architecture of Siena and, at the same time, in the heart of the Tuscan countryside. 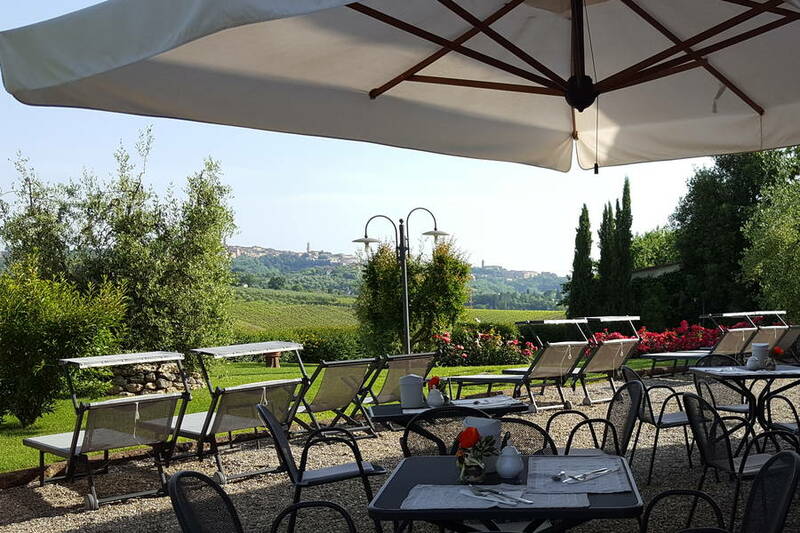 The area surrounding Siena is home to any number of beautiful medieval hill towns such as Monteriggioni, San Gimignano, Montalcino, Montepulciano, and Volterra, all within easy driving distance of the Relais. 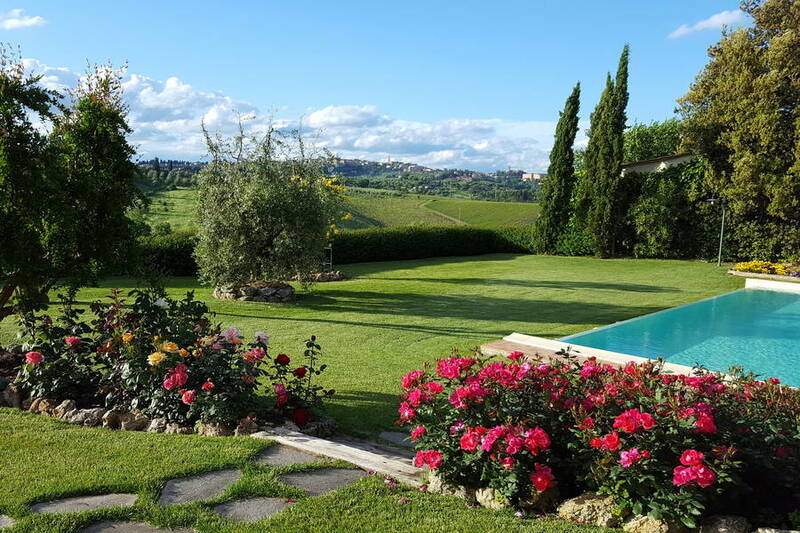 The towns and villages of the Val d'Orcia are, likewise, all just a few kilometers away.